Having already received plays from Huw Stephens as well as Jen and Ally on BBC Radio 1, it would seem that Say What You Want – the debut single from 21 year old Londoner Matt Lamb, pka Breen – is destined for big things. Breen started playing guitar and singing at a young age before moving to Leeds to study for a degree in Music Production. He will graduate in the summer before launching straight into festivals (including The Great Escape) with his new band, in addition to releasing a new EP in June. Say What You Want is a minimal but tastefully produced tune that pairs downtempo electronica flavourings with soulful, R&B tinged vocals. 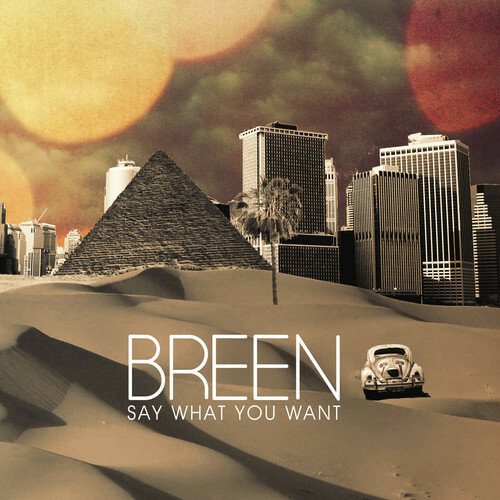 The song’s sparing instrumentation allows Breen to showcase his impressive, emotive Ryan Tedder-esque vocals, and though Say What You Want is downtempo, there’s also an undeniable sway to it, along with a finely-tuned pop sensibility. The pitch-shifted, soulful vocal harmonies that immediately greet the listener and continue to run underneath the track give the tune a slight gospel quirk. All combined, Say What You Want is the perfect start for this exciting new talent. Say What You Want will be released digitally on 11 May, 2014 through POP unLTD. Pre-order now.